We have recently completed a new dealership for Claas UK in Cirencester. WBC were Principle Contractors for this project and we had overall responsibility for the site preparation, construction of external surfaces, concrete floors, mezzanine floor, the steel frame building, horizontal microrib composite cladding, security fencing, automatic entrance doors, external gates, internal and external doors and windows, plumbing, electric installation, connection of services, foul and stormwater drainage, internal office partitioning, flooring, decoration, suspended ceilings, passenger lift, stairs, lighting, toilet facilities and general finishing. This building is the flagship depot of Claas UK. 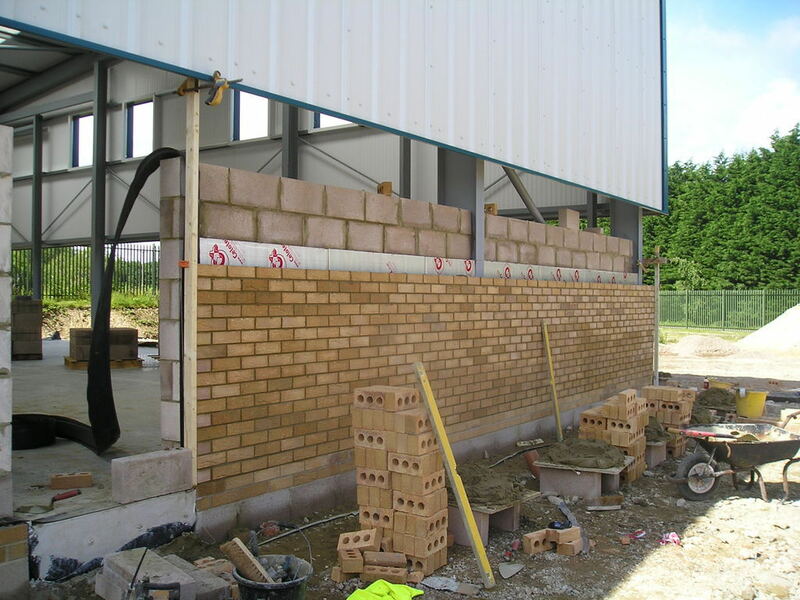 The project had very demanding timescales as the depot was planned to open on a specific date. We worked very closely with Claas and their architect to ensure all the specifications and finishes matched or exceeded the colour schemes and finishes implemented at their other depots. 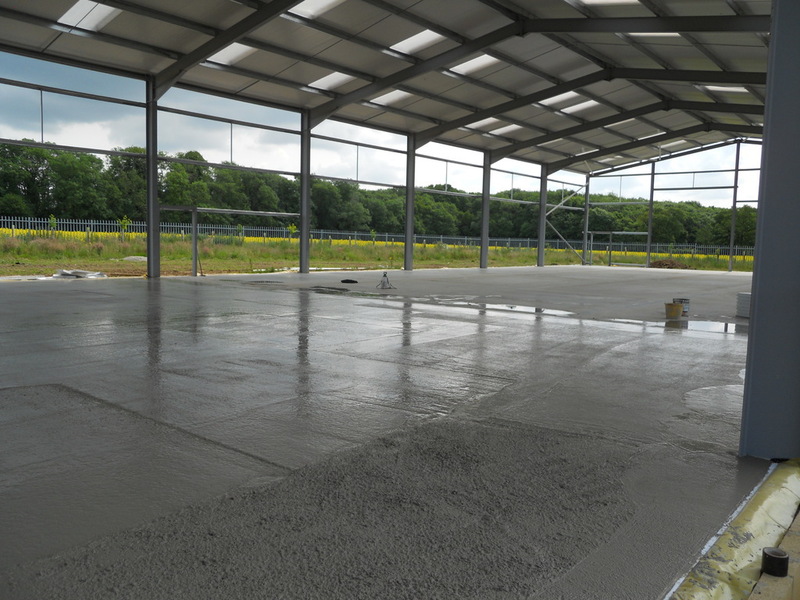 This building was constructed by Woonton Building Contractors as an egg packing plant for a large egg supplier in South Wales. 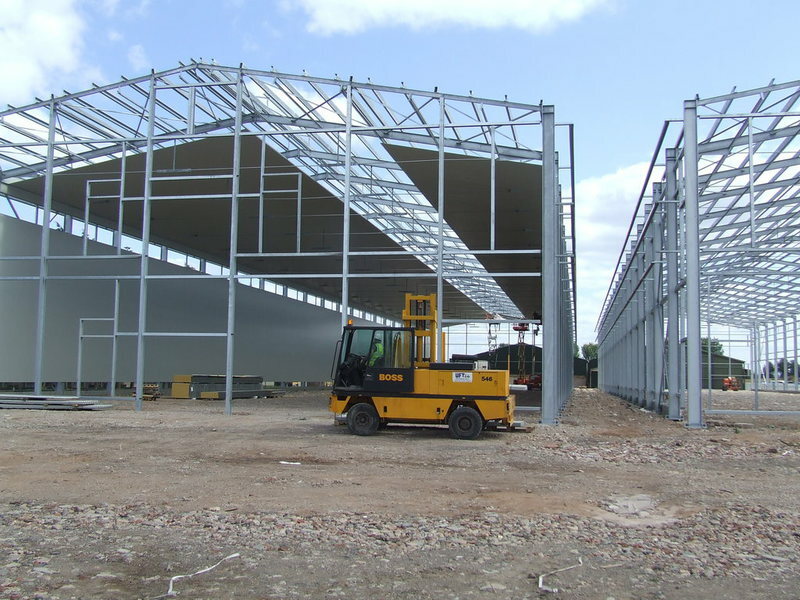 The building structure was a steel frame portal building which was fully galvanised. 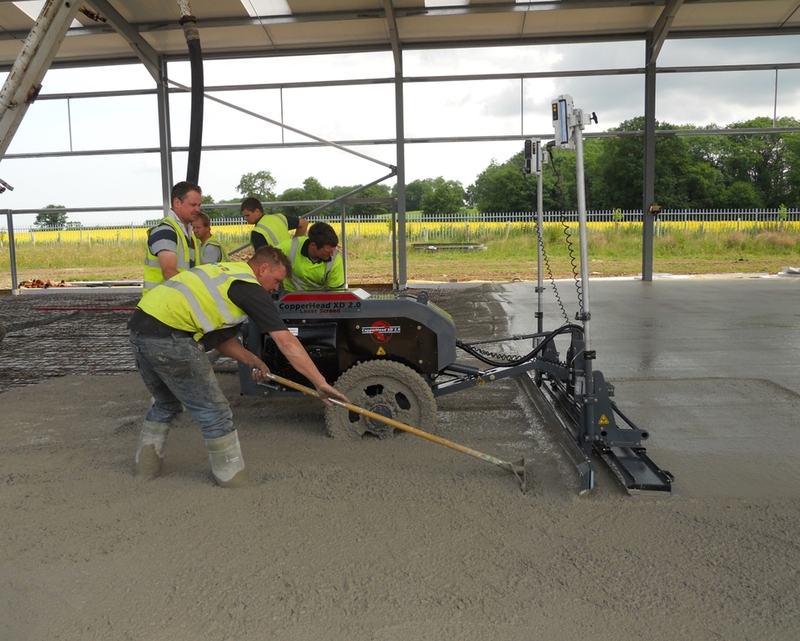 The concrete floor was laid using our accurate laser floor screeder with a power float finish. This then painted using a heavy duty epoxy floor paint to ensure an hygenic easy to clean environment. 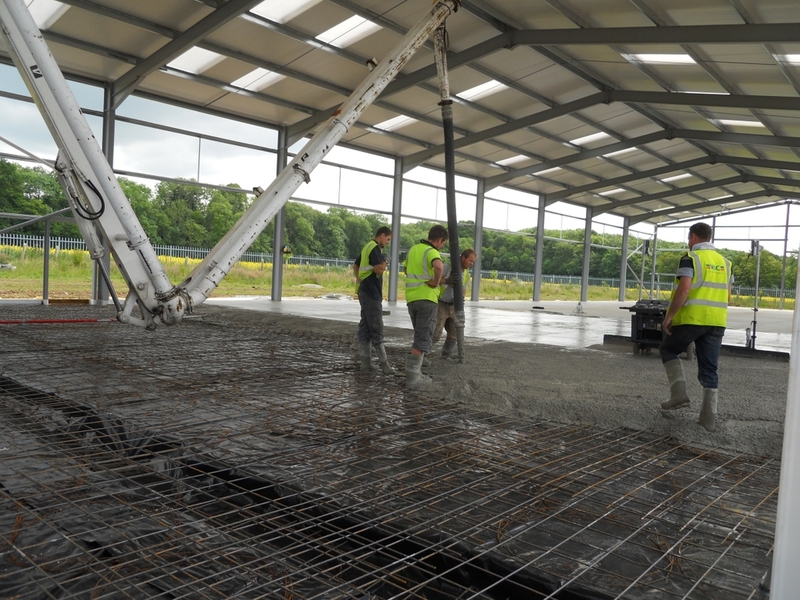 The building floor was raised to provide a lorry loading bay to the gable end of the steel building. The remaining doorways to the building are accessed using an external pathway with steps leading up and down to the doors with a side tubular handrail. Other works to the site included the concrete yard and lorry loading areas which were to falls into the yard gully drains. 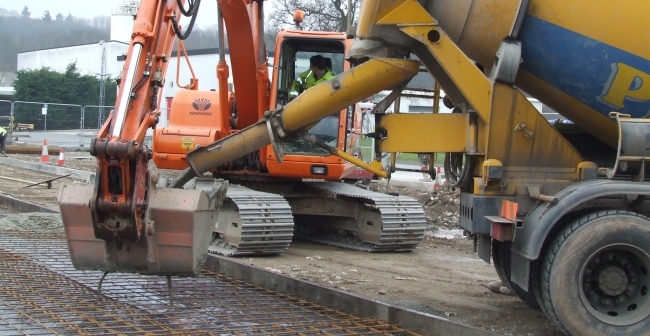 The drains were then connected to a new sewage treatment plant and soakaway system. This building is an example of a modern industrial building which was constructed by Woonton Building Contractors as a theatre building for a private school. The steel frame building was used as an external aesthetic element to the building, to enhance its appearance and break up the expanse of brickwork behind. The windows and entrance lobby were constructed using powder coated aluminium glazing systems which further enhances the modern feel and maximises the natural light entering the foyer of the theatre. We have since constructed a two storey science building for this client with a concrete hollow core first floor and concrete stairs. Although we think modern, our team is traditionally trained and is dedicated to high-quality workmanship using the latest techniques. 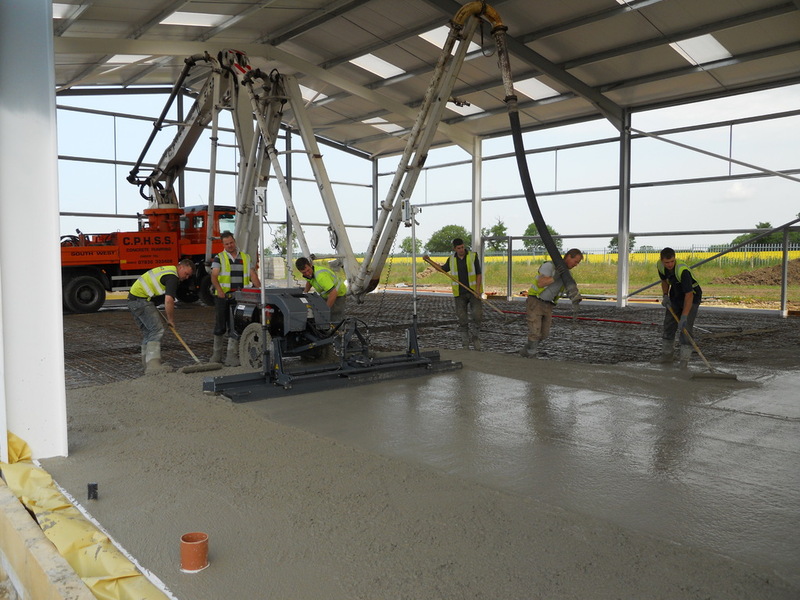 Shown in the slideshow below is our team using our laser power screeding machine, which ensures a precise level concrete floor over the whole concrete slab surface.